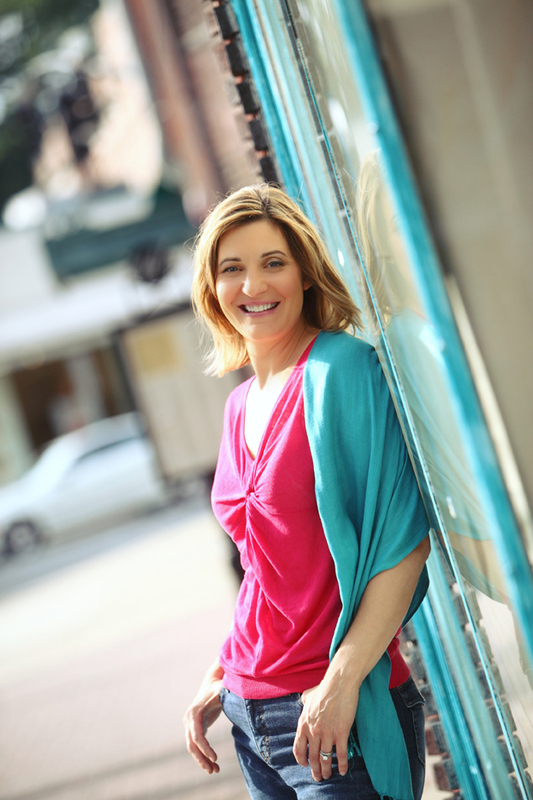 Lisa Grace Byrne, MPH founder of WellGrounded Life, an exceptional online community where she connects with women all over the world, supporting them to live vibrant, fulfilling and prosperous lives. Through multimedia courses and programs she teaches tools and strategies to moms who want to experience deep reserves of calm and abundant energy as they navigate the journey of motherhood. Lisa is also the founder and director of the WellGrounded Life Certification Program and trains women to become Certified Women’s Wellness Educators through her exclusive women’s wellness curriculum. She is a speaker, teacher and author with a degree from Cal Poly State University in Biochemistry with an emphasis in Nutrition and Metabolism. She holds a Masters in Public Health in Social and Behavioral Sciences from Boston University and is certified through the Institute for Integrative Nutrition and Columbia University. Lisa is the author of the bestselling book, Replenish: Experience Radiant Calm and True Vitality in Your Everyday Life and lives in New Jersey with her three children, husband and 100 pound yellow lab. One of my favorite things is to speak to groups of smart and insightful women, mothers and parents. My ideal audience wants less busy and more connection, less exhaustion and more vitality, less stress and more calm. It’s my goal to leave individuals inspired to make change and equipped with ideas and tools to help them move forward. Whether it is a keynote speech, interactive class or seminar, I’m committed to designing presentations that match my audience and venue’s needs intimately. If you’d like more information about my speaking schedule, send an inquiry email to wglteam (at) wellgroundedlife (dot) com and someone from my team will respond shortly. Learn how to trigger the calm response in a stressed out world in order to feel energized, emotionally balanced and in control of your responses when life gets challenging. In this interactive workshop, busy moms create a personalized, restorative self-care plan that is effective and fits in the life they live. For many mothers, life raising children has pushed their own interests, passions, and dreams to the back-burner. This workshop helps women discover themselves in a whole new way at this particular juncture in their lives. We’ll explore how to re-connect with the talents, gifts, dreams, interests and passions that are alive and authentic in our lives right now. We’ll also discover how our life “blueprint” informs the ways in which we can integrate and blend our own desires back into the reality of our everyday lives without sacrificing our commitments or priorities to our families. Need a fun, fresh and informative voice on a topic pertaining to women’s health and well being? Want a speaker who can tailor the message specifically to modern mothers and their unique challenges and opportunities? You’re in the right place! how to live vibrantly as a mom in today’s world. Please contact my team to get more information about scheduling an interview or media appearance. Got a tele-summit, blog series, guest expert interview, live event or organization you need to bring a dynamic, fun, lively personality to? Let’s connect.